The Francis House was added to the National Register of Historic Places in 1979 but over the years it fell into disrepair. It is set to reopen September 7th as a luxury five-room inn. Click through the gallery for more photos of the property and things to do during a stay in Calistoga. 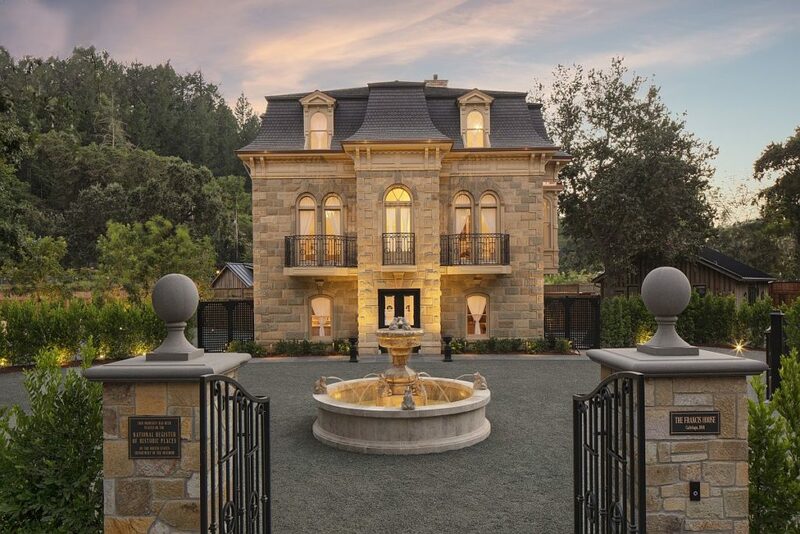 Built in 1886 as a family home for successful merchant, James H. Francis, it’s the only stone building in Napa County with authentic French Second Empire architecture. From 1919 to 1964 it served as the Calistoga Hospital. After its doors were locked for good, the house remained the talk of the town – but, as time went on, it was for all the wrong reasons. For more than 50 years the residence was uninhabited, essentially abandoned. Time took its toll. Those driving by, especially those aware of its history, would look and wonder. The Calistoga landmark was in ruins, said to be weeks away from demolition, when husband and wife team, Dina and Richard Dwyer took on the challenge of ensuring its future. “When we settled on the property, the city planner said ‘congratulations’ and ‘my condolences,’” said Richard Dwyer. Though there are a number of exterior photographs documenting the history of The Francis House, there was little to work with regarding the interior. A clean slate of sorts, three long years later, the house is the talk of the town again. This time for all the right reasons. 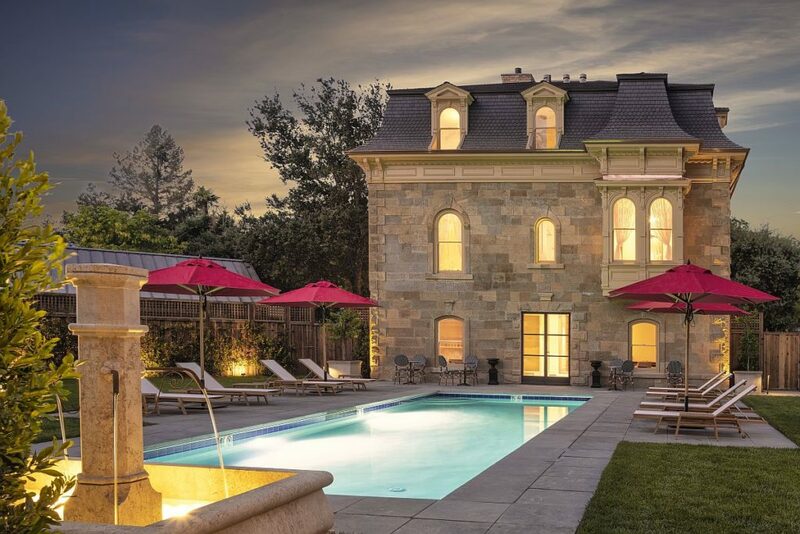 The Francis House is set to reopen September 7th as a luxury five-room inn. Guest rooms pay tribute to the property’s rich past, while at the same time ushering it into modern times. Antique desks mingle with smart TVs. Bathrooms feature Carrara marble and heated toilets. Amenities including an infrared sauna and salt room, billiards, and heated pool make it a place easy to linger longer. As The Francis House gets closer to opening day, the curious have been stopping by, to take a peek, and say thanks. Calistoga is not just gaining a luxury property, it’s getting back a treasured piece of community history. In September, a Tiburon resident will be back for what, I guess, you could call his second stay. He was born at the Calistoga Hospital 81 years ago. The Francis House is just a couple blocks from Lincoln Avenue, making it easy to wander along Calistoga’s main drag. Plan on setting aside some time to soak up neighborhood hotspots, because, being in hot water is always a good thing in Calistoga.